Day 1: Co-working Offices, Company Name: Space Agency. I'm Mary, the project coordinator at Space Agency. We're so happy to have you work on our logo design! Space is building co-working offices so that freelancers and small startup companies have a stunning office to work out of without paying the big bucks to buy or lease a large building. We offer rentable offices for teams of 1 to 12 in beautiful areas across the world including Austin, New York City, Raleigh, Chicago, San Francisco, and London. These offices are also great for people working remote for larger companies. For the Space logo, we want to capture the idea of a personal, modern, and fun shared office space. We would be open to some kind of icon or using the text "Space" to represent the company. We don't have any requirements in terms of colors, text, icon, or otherwise. Have fun with some ideas! And if this helps, some of our competitors are Industrious and WeWork." 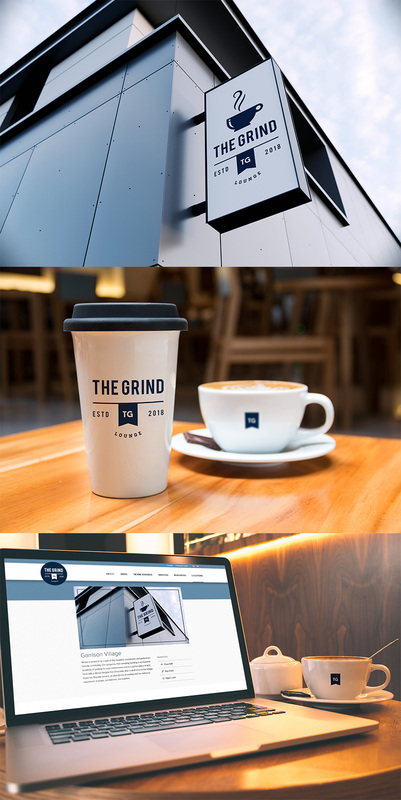 Day 2: Coffee Shop, Company Name: The Grind. We're a small coffee shop chain located in Seattle, WA with five locations. Our current logo is just text using a default font but now it's time for an update! The Grind prides itself on natural and local ingredients. For our new logo, we actually do not want to use any browns! So many coffee shops around here use brown and we'd like to stand out. Maybe oranges, green, other earth tones, etc. could work well. This logo will primarily be used as our store sign, on menus, and on coffee cups and merchandise. The Grind logo could be text based or have an icon, we're open to either/both. We're open to using symbols that represent coffee such as the coffee bean, plant, grounds, coffee cup, etc.! I'm attaching a few example of logos we really dig for some inspiration. We like a somewhat clean look." Use a word cloud to get your ideas flowing. In this logo challenge for example, you could write the word "coffee" and or "grind" in the center and then write words around it that have to do with coffee or grind. Think of verbs and nouns that have to do with your subject directly or indirectly. Coffee, steam, beans, cups, roast, seeds, foam, cafe, energy, morning, drink, sip, etc. - By doing this, you'll generate some unique leads for a design! Day 3: Email Marketing Firm, Company Name: Twitchy Rabbit. Amber here and we're excited you're taking on our logo redesign. Attached below is the current logo for Twitchy Rabbit. The problem is that it's too detailed and doesn't work great as our logo, especially at small sizes, and this is something we want to improve on. Twitchy Rabbit is an email marketing platform similar to MailChimp and Twitchy the Rabbit is our mascot. We'd like him to be redesigned into a more simple, iconic form that we can use across our products. We are willing to accept a solid color logo or something with multiple colors, as long as it works great at a small size around 50x50 pixels for icons." I decided to cover his eyes with this mascot-esque logo rendition and instead gave him a VR headset and some friendlier, more lifelike browns. When updating a logo, look closely at the original. What are its strengths and weaknesses? How can you make it simplified? Are there opportunities to make any text easier to read? It helps to make a short list of pros and cons and then move forward from there. In this example, the client wants the logo to be simplified. Day 4: Chat Platform, Company Name: Ping. Ping is thrilled to be working with you. As you know, Ping is a growing chat platform for businesses and small teams. Some of our biggest competitors are Slack and Skype. What sets us apart is that we offer major features like group screen sharing, free of charge. Our logo needs be text-based, focused on the word Ping. Feel free to explore icons that are aligned with the name but the name needs to be included. We are open to any color scheme but would like to stay away from blues if possible. We're also open to any kind of typographic style and graphical style." 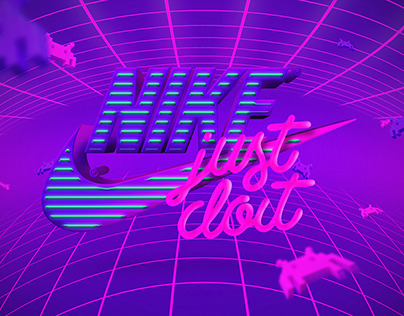 Text logos are great! They can emphasize brand recognition, especially for newer businesses. However, it can be hard to make them unique since many letter forms are similar. Try playing around with different styles, break the letters apart, and study what makes the word readable. Day 5: Non Profit Organisation, Company Name: Wildlife. Thanks for the chat today. Wildlife™ is happy to have you on board! We're a non-profit organization that preserves the life and habitat of wild animals throughout the world. Our organization is known for our passion and personal investment in the lives of animals. Similar to the the WWF logo, we would be happy to use one animal to represent our brand or several, it's up to you. We do require a stand-alone icon for the logo that can be paired with text, although text is not required for this stage. Outside of an animal icon logo, we do not have any requirements at this time." 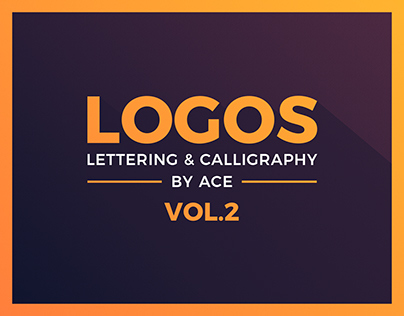 Animal-based logo are extremely popular and therefore can be hard to make unique. Consider what could make yours unique. Perhaps an animal that isn't commonly used? Maybe a color or color combination that you wouldn't expect like a red bear? Day 6: Online Flower Shop, Company Name: 1-800-Rosebud. Since this logo also features our phone number, the wordmark needs to be legible at large and smaller sizes. Finally, it does not necessarily need to be a rose, but roses are welcomed as well." What is a Wordmark? A wordmark is the typographic version of a logo. For example, Coca-Cola is a wordmark logo along with other big companies such as IBM, FedEx, Amazon, etc. Wordmarks need to be legible, especially at smaller sizes. If you use a very thin style, the logo may not be readable at smaller sizes. For this challenge, the wordmark 1-800-Rosebud needs to be clearly read at a small size. Day 7: Event for Autism Research, Company Name: The Austin Sun Run. Stoked that you're creating The Austin Sun Run logo! We're a large running event that happens once a year in Austin, Texas. We had over 5,000 participants last year and now it's time to get some great branding materials. Austin Sun Run is a charitable event for autism research and raises money for families in need of care, education, and information. The event is so much fun and many people dress up in crazy outfits. Last year we had someone dressed as Darth Vader followed by 50 Storm Troopers! Anyway, the logo style is really up to you and we'd love to see what you can come up with. It could feature the Texas state shape, a landmark that represents Austin, something that represents running, or even just a text logo! Feel free to do something whacky and fun or something more simple. I'm sure we'll love whatever you do!" Day 8: Gaming News Website, Company Name: Sparked. Glad to connect with you. Sparked is a video game news website featuring the latest news in all video games, e-sports, and tech. For our logo, we're looking for something that works on a dark background. This logo cannot have a light or white background. We're possibly thinking of something that uses orange, red, or yellow and features a spark, fire, flame, etc. The Sparked brand is all about hot gaming news, so we want our logo to represent that. Feel free to check out a few examples attached for inspiration." Every iteration or version should always be saved. You never know if you'll need to go back to an old version or idea! Day 9: App to scan colours, Company Name: Paint. Excited to be working with you! We've seen some of the previous logos you've designed and we are really impressed. Paint™ is a fantastic mobile app that allows you to take a photo of anything and it will automatically pull up the correct color in multiple formats including Sherwin Williams Paint, PANTONE Color, and many more. We're looking for a redesigned logo that is visually appealing. I've attached our current logo below but we think it's too bland. It really lacks some color which is what our app is all about. We'd be open to a text based logo or one that has an icon. The most important thing is that it's colorful, whether it be one color or multiple. Can't wait to see what you come up with!" Day 10: Recycle Clothing Company, Company Name: Anchor. Anchor is a clothing line for the nautical lovers! Many of our products are actually produced with recycled boat sail material. We're looking for a fairly simple logo that of course features the iconic shape of an anchor. While blue is obvious for color, we'd like to try something outside of blue. We want to be more modern and fun and don't want to use something so expected! 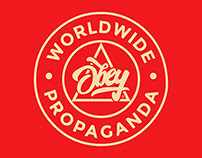 This logo will be used on our shirts, polos, pants, tags, and all other types of apparel. Feel free to go any direction with text, but it is not required at this time unless the logo is part of the text." As Lynda mentioned above, she does not want to use blue. When designing a logo for a maritime themed company, the most obvious color that comes to mind is blue which represents water. However, these sort of obvious ideas are sometimes the first ones you should not consider. You want your logos to be unique amongst the crowd. Think of the logo as a product on a shelf in a grocery store. Blue anchor, blue anchor, blue anchor... wait. What's this one? Gold? Interesting. Day 11: Candy Store, Company Name: Sweets Candy Shop. Pleased to be working with you. I'm in the final steps of opening a candy shop in the UK called Sweets. Yep, a pretty awesome and straight forward name! We'll offer a very wide variety of candy; just about anything you can imagine. I would love for the logo to capture the joys of candy whether it be with an icon, colors, etc. You can try a lollipop, wrapped candy, chocolate, etc. There are really a lot of different things that could represent Sweets, so long as the text "Sweets" is legible from a far distance as this will be on our sign. I would please ask that the words 'Candy Shop' are below the main name 'Sweets'. " You've most likely seen them around the web. Logos being mocked up on T-shirts, signs, business cards, etc. This is a great way to present your designs in a realistic way and it can also help seal the deal with a client. We own a website that has mockups and more if you'd like to take a look here. 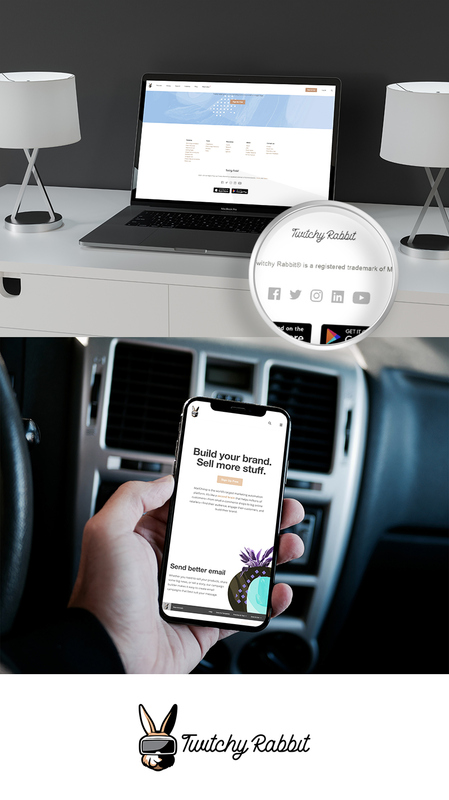 Another Tip: Always present your flat logo along with a mockup should you use a mockup so that viewers can see the logo without any distractions. Day 12: Security Software, Company Name: Sword & Shield. Sword & Shield is an upcoming security system for tech companies. Our software includes password protection, server backups, malware protection, and more. We're focused on appealing to medium to large scale technology companies. For our logo, we'd of course love to feature a sword and shield! Our team has discussed some ideas but we'd love to see what you come up with first. We ask that the logo be provided in both a dark background and light background style. Thanks so much!" It's common for clients to ask for their logo in both a dark and light version. This means that the logo you design cannot rely heavily on a specific color or style. Not every logo needs to work on both dark and light backgrounds, and this can be part of the brand guidelines (no dark background usage). However, some of the best logos work in both styles and it's better for your client if they can use the logo in multiple formats. Day 13: Pizza Shop, Company Name: JJ's Pizza. We are so excited that you're taking on our rebrand! JJ Pizza has been serving the Vancouver area with the very best pizza since 2002. We're rated #1 for the area and now it's time to step up our game! I've attached our current logo (please don't laugh!). It was created when we first started but there is nothing unique about it. It's just something I put together a LONG time ago and it's time for something fresh. I want to our exact red color as the main color whether it's a red logo or a white logo on a red background. Reason for this is because a lot of this red is painted on our walls, our cups, etc. and if we can keep that red, we can save some money. The red color required is this hex code: #DF4337 That's the only requirement I can think of. You can try a pizza icon, the letters, whatever you want! Looking forward to seeing what you can do!" The red color used for the delicious looking pepperoni is the required hex code. Day 14: Online Book Store, Company Name: BookWorm. Thanks for taking the time to chat. BookWorm™ is a growing online bookstore and we're looking to get a logo designed. I'm not really good at this kind of stuff so I don't know how much help I can be. We just want to see what you can come up with. We're pretty much open to anything, whether it be using a worm or not. We do need the text BookWorm to be included of course. Thanks!!" You may or may not have been there yet, but it does happen. Sometimes clients are really reserved and to be frank, not helpful when it comes to developing a logo. This is where you need to jump in and ask the questions as the designer. Do you have any color requirements? Can you share some logos you like/dislike with me and tell me why you like/dislike them? Does this logo only show up online or does it need to work for printed materials as well? Of course, this is just an email and you won't get those answers. So, feel free to have some fun with this one! Day 15: Online Dog Toy/Food/Treats Subscription Service, Company Name: Pups. Pups is a new online subscription service focused on dog food, toys, and medicine delivery. Our users sign up for weekly or monthly delivery of premium dog food straight to their door! While a large bulk of our subscribers are for dog food, we also deliver toys, treats, and medicine. We don't want our logo to be focused around dog food but more around dogs/puppies! For the Pups logo, we require the text "pups" as well as either a separate or integrated icon of a puppy or dog(s). We're so excited to see what you come up with!" Negative space logos can be difficult to pull off, but if done right, they can be very powerful! Some examples of negative space logos include the arrow in the FedEx logo, USA Network logo, etc. 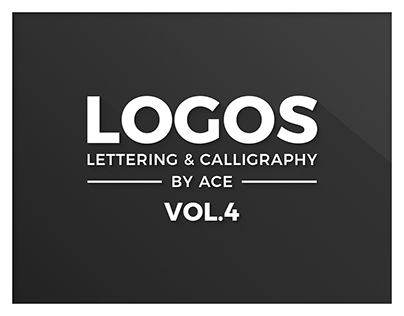 Do an online search for negative space logos to check out some awesome examples. Day 16: Cooking Knife Sales, Company Name: Sharp. Sharp has been creating high quality cooking knives for over a decade. We're known for our craftsmanship, quality, and outstanding cuts. We provide a variety of knives from chef to bread, and we need a new logo to represent our quality. We'd like our logo to be black and white, no colors please. We like logos that focus on minimalism and feature very subtle details. Thanks so much!" Designing in black and white is a great way to really focus on the details and overall shape of your logo design. We recommend starting in black and white to ensure the logo works in that style. Luckily, this logo requires black and white! Day 17: Online Form Generator, Company Name: Fast. We're very excited to be working with you on the Fast branding! Fast is an online form generator where users can generate and interact with any kind of form like W9, contracts, etc. It's perfect for freelancers and home business. We'd like the word Fast to be the logo, with perhaps an icon that represents paper or a form. We also require it to be either blue or orange. Thanks so much!" In this logo challenge, there are actually quite a lot of requirements. 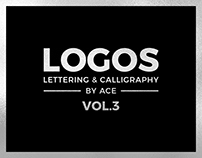 They require the logo to be blue or orange, it must be a typographic logo, and it must include the idea of paper or a form. When faced with requirements, it might feel you're being boxed in. You should feel free to discuss some alternatives with your client, especially if you see an opportunity or reason something should be changed. However, this is a challenge series and you'll have to include the required! Day 18: Sushi Bar, Company Name: Sakura. 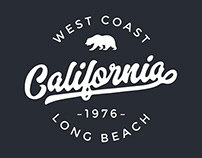 I own a sushi bar in downtown Los Angeles and looking for a fresh logo! The name of my shop is called Sakura. This means flowering cherry (blossom) tree, so I'd actually be cool with using a cherry blossom, but please don't feel that you need to use this, just an idea! I am definitely open to any other kind of sushi iconography. I do require that the name Sakura is included in the logo. Thanks!" Since there aren't any color requirements for this, you can use any color you'd like! With this in mind, remember that color can drastically change the tone of your logo. Different colors will provoke different emotions, especially when it comes to food! We highly recommend you give this article a read...after you've appreciated this project of course! Day 19: Animal Hospital, Company Name: Hampton Cove. We're thrilled to see what amazing work you can do for the Hampton Cove Animal Hospital. The Hampton Cove area is known for it's mountains, so we'd love to incorporate some mountain(s) in the logo somehow, maybe in the background. The main focus of course should be pets/veterinary/animal hospital. If you look around the internet you can find a lot of great examples of animal hospital logos and we'd love something similar to them with the uniqueness of using mountains to represent the area we're located in! Thanks!" When people ask us where we find inspiration, the short answer is searching online and visiting sites like Behance ;) ...and Dribbble. But that's just the start of it and sometimes we actually avoid it. The truth is, some of the greatest artists don't wait around to be inspired. They just start working. Jump in. Sketch. Think. Try. Fail. Try. Fail. Try. Succeed. Thinking in abstract and unique ways can be ruined by too much exposure to other visually stimulating logos and designs. For example, let's say you search for "animal hospital logos" and you find several featuring the color blue. Your brain may only start thinking in blue because it's being repeated over and over, and sometimes this can be bad for gaining your own inspiration. In all, it's completely fine to head to the internet to get some ideas, but it shouldn't be your first step and it certainly shouldn't be your only method of idea generation. Day 20: Freelancing Opportunities, Company Name: Freelance. Freelance is a company for people just like you actually! We're an online system that helps freelancers (designers, artists, and all other creative types) manage their invoices, time, projects, client communication, etc. in one suite. 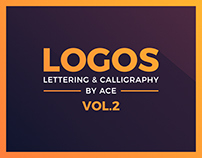 What we imagine for this logo is just the text Freelance. We can't think of any icon or symbol that would encompass all creative types. We wouldn't want the logo to be a pen tool icon or some other graphic design specific icon. 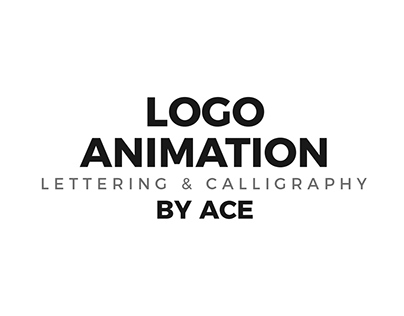 We need the logo to be versatile in that any freelance person can connect with it. If you can think of an icon that will work, go for it! If not, we'd really love to see just a really clean type-based logo with our name. Thank you!" This challenge is a great example of considering your audience. 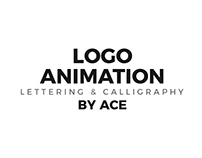 The people looking at this logo will mostly be creative types, but if the logo is specifically targeting creatives, you might alienate a potential customer for Freelance. In several logo design cases, it's completely OK for the logo to simply be a wordmark and if possible, a secondary icon. Look at popular ones out there such as Google, Coca-Cola, Pinterest. How do you create an icon for Google? Maybe a magnifying glass to represent search, but they are not just a search engine. Day 21: Ice Cream Shop, Company Name: Sprinkles. Ice cream. It's what we're about and we want the logo to scream ice cream (see what I did there?) Sprinkles is an ice cream shop with stores across the United States. We pride ourselves in the best tasting ice cream on the planet. We've won numerous awards for our taste and innovative flavors. We're like the Willy Wonka of ice cream. For the logo, we require the text "Sprinkles" and then some kind of icon or visual element to represent ice cream and/or the sprinkle topping. We want bright, fun, and tasty!" Some of the most powerful logos have a backstory. They tell a story. The company's story. For Sprinkles, it's about magical taste and innovation. When you can tell a story (a great story) behind why the logo design is what it is to a client, they become attached to the story and the logo as a whole. Day 22: Personal Branding, Company Name: MyInitialsAreACE. 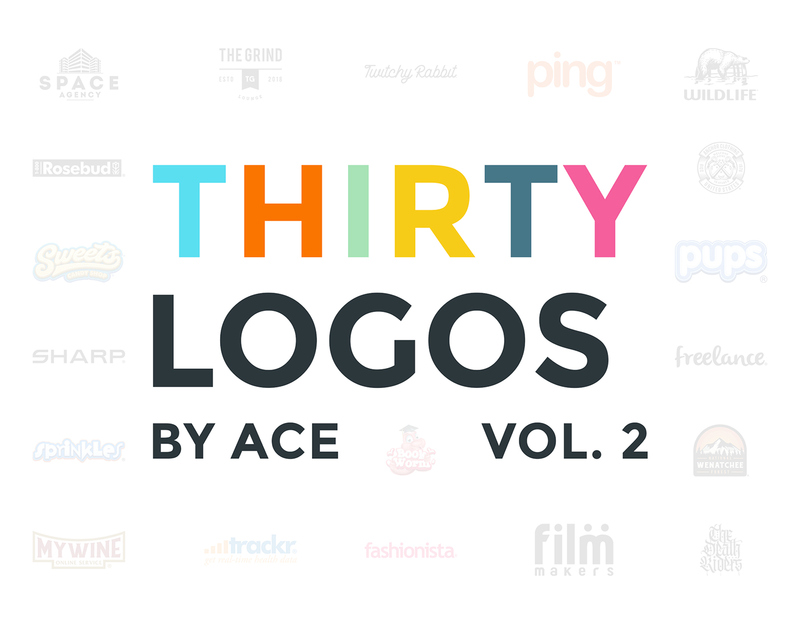 "You've almost made it through the entire Thirty Logos challenge series! Feels pretty awesome, right?! We hope you've learned, improved, been frustrated, been excited, and above all, felt challenged. Let's take a little break from the client directed challenges and try something different. We'd like to focus on you. As a designer, do you have your own personal logo? If not, design your own at this point for Challenge #22! If you have a current logo, are there ways you could improve it? Perhaps there are some ideas you can try for a new look?" I challenged myself to come up with 22 new looks since it only seemed fitting for challenge #22. Designing for yourself is classically one of the biggest challenges for many designers. Below are some ideas that may help design your own personal branding. Do you have a unique handwriting style? Your logo doesn't have to be a visual icon. Your written signature is a great way to brand yourself. It's unique, personal, and timeless. Do you hail from an iconic town or place? Is there something about your past that defines who you are? You can try implementing something from the history of you into your logo which tells a story. 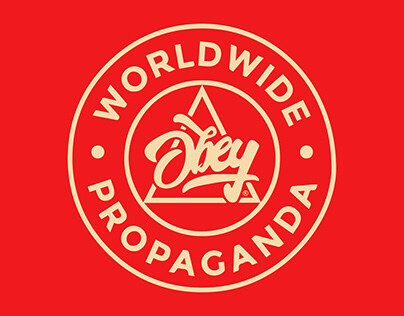 Remember, this logo represents you. Not a giant corporation, a company, etc. You can use just about anything! Maybe you love dinosaurs. T-Rex logo! Maybe you enjoy biking. Avatar of yourself speeding down a hill. Be unique and expressive. You'll want to be remembered by clients. Go crazy because after all, we're designers. We've all got a little bit of crazy in us. Day 23: Online Music Community, Company Name: Deadbeat. Deadbeat is an online music community focused on EDM, Drum & Bass, House, Dubstep, etc. type of music. Our close competitors for your reference are Monstercat and 99Lives. We'd like our logo to focus around the dead + beat idea. Dead could be a skull or zombie and the beat (music) featuring either headphones or music equalizer styles. For the style, we prefer something colorful like 99Lives album art. Something when someone sees the logo and just wants to listen to some awesome music!" I was able to get my hands on the actual file for the official Beats by Dr. Dre® logo and with a little rearranging I've come up with this exact copycat logo...later I discovered that I had a font similar & also realized I felt like the logo was off balance so I fixed that by introducing a stroke. It's very common for a client to link you to competitor logos or logos they like. If they don't mention why they like the logos, you should definitely ask! 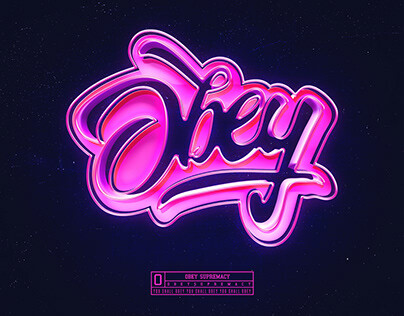 Is it the colors, the style, the typography, or even the emotion it provokes? For this challenge, the reason Craig likes Monstercat and 99Lives is because it's in the same genre of music and style. Consider their logos as inspiration but not a total driving force around the style you want the logo to be in. Looking at competitor websites is a good way to get a grasp on the brand voice of a similar business. It can help to influence colors, vibe, typographic style, etc. Day 24: Grocery Shopping App, Company Name: Avocado. Avocado is an upcoming app for smart grocery shopping! Our bundle includes a mount for your phone to attach to the handle of your grocery cart/buggy and will scan each item as you put it in your cart. This keeps track of all kinds of awesome data including total price, calories and other nutritional information, recipe ideas based on what's in your cart, and more! We need the logo to include both an icon and text, please! We also ask that you provide what the app icon would look like with the logo. Thanks!" You'll most likely have at least one logo design client for an app! What does this mean for your logo design? Scale! More precisely, small scale. The iPhone app icon for example has a lot of different sizes. It shows up in a spotlight search, iTunes artwork, and of course on the phones home screen. For this challenge, focus on making the app icon work at about 60x60 pixels! Make sure the logo reads well at this smaller size. Good luck! Day 25: National Forest, Company Name: Wenatchee. The Wenatchee National Forest is home to beautiful mountains, water, and hiking trails. You can see some photos here. We need a logo to represent the forest and the amazing mountain views. This logo will be used by the forest staff including advertising for camping, staff uniforms, website, etc. I have attached a few examples of logos we like, and we do require the full name Wenatchee National Forest. The text "National Forest" can be smaller and underneath "Wenatchee" if needed. Thanks so much! We're excited to see what you design." The logos that Kyle has attached have a similar style in that they feature a shape as the base with trees that connect to the same color of the shape. This is a great way to build a base for your "badge" style logo. We strongly recommend you check out some patch designs as they feature bold shapes inside a background shape. Have fun! Day 26: Online Wine Delivery, Company Name: My Wine. My Wine is a new online service that delivers premium wine to your doorstep. You choose from a variety of tastes and preferences to pair up with your dinner plans. We're not sure exactly what direction to go in for this, but we do know we require a merlot red color. Somewhere around the #81151c color range. We are also considering something that represents delivery but it's not required. Thank you!" We've sent this design tip before, but it's really important to remember it. When thinking of ideas for a logo, write down words that relate to the logo theme. For this, wine and delivery has a lot of options including wing bottle, cork, glass, pouring, crate, movement, etc. Don't forget that they require a merlot red color to be a part of this logo. Day 27: Health Data App, Company Name: Trackr. Stoked to have you on board for this logo design. Our whole team is so excited to see what you can do to represent our product. We work directly with the National Football League and get real-time health data from the athletes during games and practices. Each player wears a FitBit and everything from their heart rate to their speed gets sent to our app. Users of our app are mostly nutritionists and scientists, but we've also seen fans use the app just for the cool data. We actually don't have a name for the app so we were hoping to see what you could come up with!" This actually isn't as rare as you may think. Many startups may not have a name picked and will consult your creativity on trying some different brand strategies. Time to get that creative mind going! Day 28: Women's Fashion App, Company Name: Fashionista. We're so happy to work with you on our logo. Fashionista is a women's fashion app that pairs your current wardrobe with amazing deals at local stores around you. For example, a user could enter in two pairs of jeans and one yellow shirt, and our app will return with other clothes that pair well with the those jeans and shirt as well as complimented outfits. We love the simple look for logo designs. One color background with a white logo would work well for us, especially for the app icon. We do need the logo to work as just an icon so that we can use it for our app." Finding the right color can be difficult. Colors evoke completely different emotions and thoughts. For this logo, women's fashion is at the forefront, and you'll want to choose a color that attempts to encompass several fashion trends and opinions into one color. It sounds like an impossible task, but there is a few hues and tones that many people could agree on as being "easy to look at". Adobe Color may help you find some nice ideas for the color. Day 29: Non Profit Student Support, Company Name: FILM Makers. Very pleased with your portfolio and logo work. FILM Makers is a non-profit supporting film students with scholarships, free trips, etc. to reach their career goals. We've helped many well-known directors while they were students including some who had blockbuster success. The name FILM is the fist name of the four founders: Frank, Isabella, Logan, and Maria. We four have been involved in the film industry for decades and now need our non-profit to have a great logo. We'd like you to create a logo that is black and white, whether it be a black background with white logo, or white background and black logo. We are happy with an icon and text or typography that includes subtle hints of film/cinema. Thank you and we look forward to seeing your creation!" Day 30: Redesign a Company, Company Name: The Death Riders. Travis here and for this final challenge, let's change things up just one more time! We see logos everywhere we look whether we're driving around, browsing the internet, etc. In fact, I bet if you look around right now, you could find at least 3 logos. I count at least 20 from where I sit. For this final challenge, I'd like you to redesign a logo of your choice. 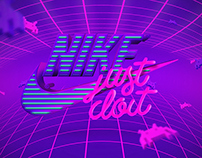 This could be your uncle's burger shop, an app you use that nobody knows about, or even something as known as the Nike logo (I don't recommend that though haha)." I chose my local churches motorbike gang "The Death Riders". The club is thought to be one of the oldest Christian backpatch clubs in the world, if not the oldest. The Club primarily exists to minister among the "outlaw biker fraternity" and associated groups, where it is an accepted and relevant expression of the Christian Church. Since its birth, out of the counter culture Jesus Movement days of the late 60's it has continued, over four decades, to devote its efforts amongst those on the fringes of society.